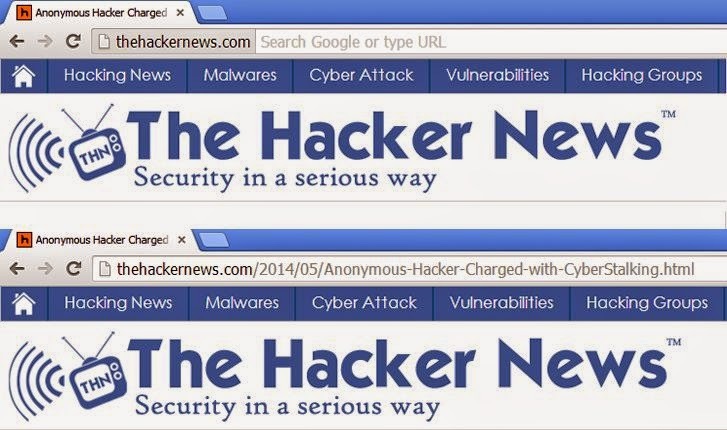 Hiding URLs in Google Chrome Could Be A Good Decision? The collection of slashes and hyphens in URLs of websites make it look complicated and messy, now the new experimental version of the Google Chrome browser bury the whole URL into the top-level domain name. Google’s new experiment to the recent update to Chrome's publicly available Canary browser indicates that in the coming weeks Google may eventually hide the full URLs of the websites and will show only the website name and domain even if you are navigating within the website, something familiar with the mobile version of Safari. Chrome Canary is an early build and a leading-edge of the next version of Google’s web browser and a couple of days ago, Google pushed an update to both of its Chrome Canary and beta builds that hide long URLs of a website from the address bar. The field that is mostly known as address bar is now better known as “omnibox”, a single bar at the top of the screen that gives you ability to type terms you want to search the as well as enter a URL into it and get results from Google. Till now Omnibox reflects the long URL of the websites, but it seems that Google may be changing the behavior of that box and the browser only reveals the website name and domain, not the entire URL. Chrome Canary has a flag called “Enable origin chip in the Omnibox” and it becomes enabled only by typing chrome://flags/#origin-chip-in-omnibox into the Canary Omnibox. Once the flag is enabled, you won't see the full URL of the website you're visiting anymore. With this update to the Chrome 36 Canary, even the full URL is initially hidden, you can still see the full URL by clicking the “origin chip” button with the domain name itself. Clicking on the domain allows you to edit it. Like Google hide the ‘HTTP’ field in the modern web browser, this new move could be in an attempt to make URLs a bit easier for its users to understand, but a lot of techie types aren't in favor of the change as the easier way to most of the phishing attacks is to get the user not to notice the domain name as it is wrong in case of phishing attempts. Google Chrome Developers itself not convinced about the future of this feature, "We're looking at a few key metrics to see if this change is a net positive for Chrome users. I imagine it may help defend against phishing," Paul Irish, Chrome Front-end Developer said. Till now, it’s not at all clear if Google actually has plan to roll out this new updated feature for all soon or later. As it’s Google habit to experiment new features and Canary is an experimental version of Google’s Chrome browser, used to test new features like this. So, this feature may or may not roll out into the coming versions of Chrome and till now the flag is turned off by default in Chrome 36 Canary.